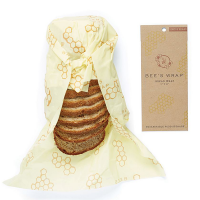 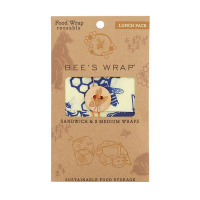 A treat for lunch-box-toting tots and grown-ups alike, these simple, stylish, plastic free and reusable sandwich wraps from Bee’s Wrap are ideal for rolls, sandwiches, pitta, wraps and snacks. 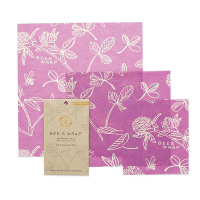 The cloth, made from organic cotton, sustainably harvested beeswax, organic jojoba oil and tree resin, is malleable and water resistant and has antibacterial properties that help keep food fresh naturally. 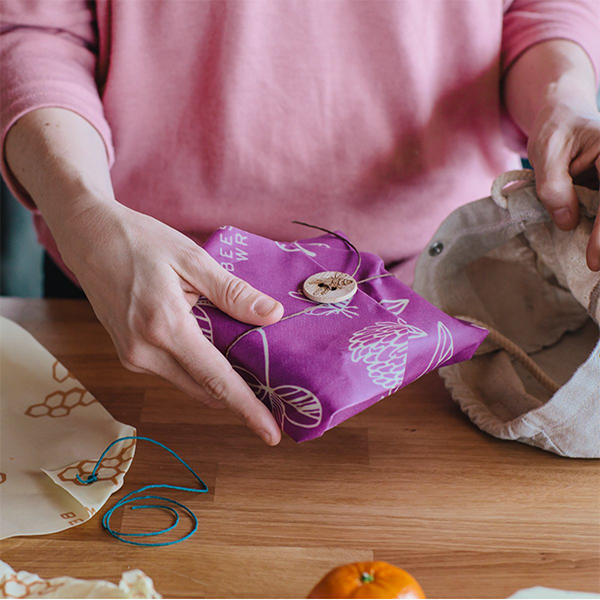 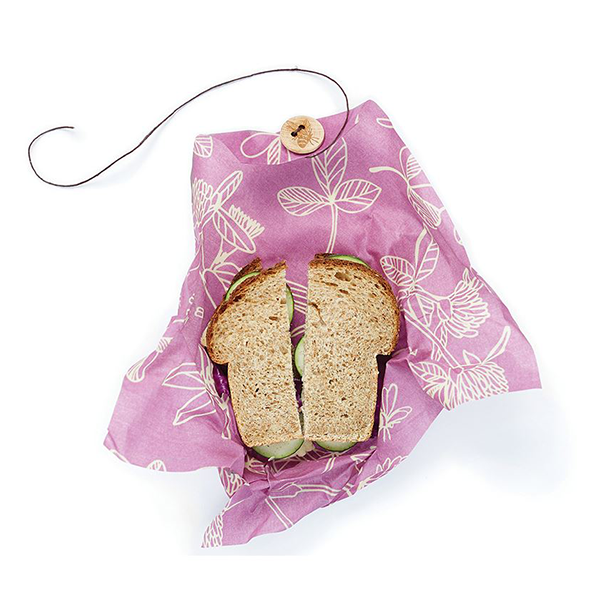 The design makes it very easy to use, with a neat wooden toggle fastening and piece of hemp twine for bundling up a meal on the go; after you unfold your sandwich, the wrap doubles as a placemat. 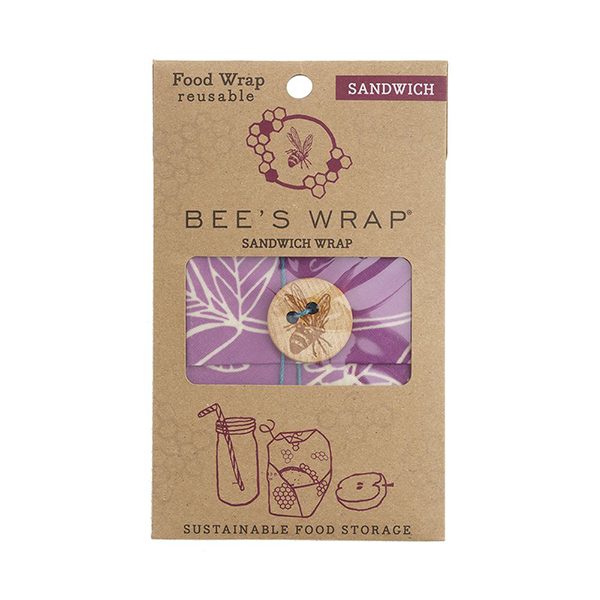 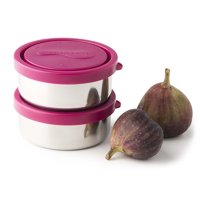 The perfect companion for a waste-free packed lunch!